It’s Las Vegas. It’s the Summertime. 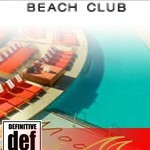 DefTal DJ’s have more spots for you to catch some rays, drinks, and amazing DJ’s!